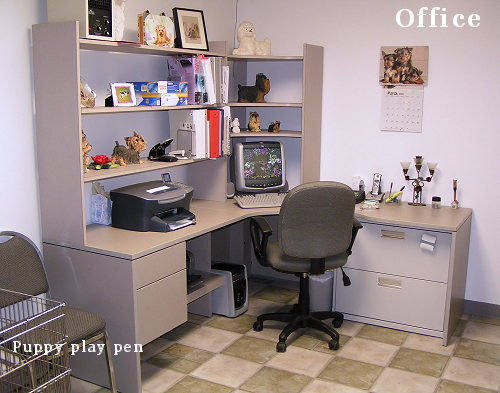 Here is a picture of our Office. This is where all the paper work is done. And it is a lot of paper work and record keeping we do that is required by the American Kennel Club. Our Puppies and Adult Poodles and Yorkies are brought up here for viewing by the potential new owners. We use the puppy pen that is in the corner so they can play and be observed.